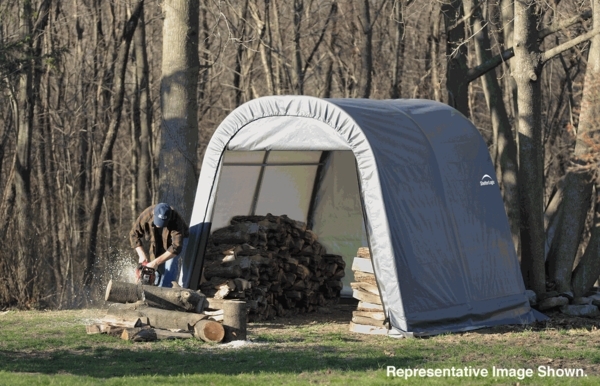 Shelter Logic offers this round outdoor shelter for a unique solution to storing your outdoor items. Because of it's round shape, the shelter can fit into tighter spaces that a conventional shelter would not accommodate. 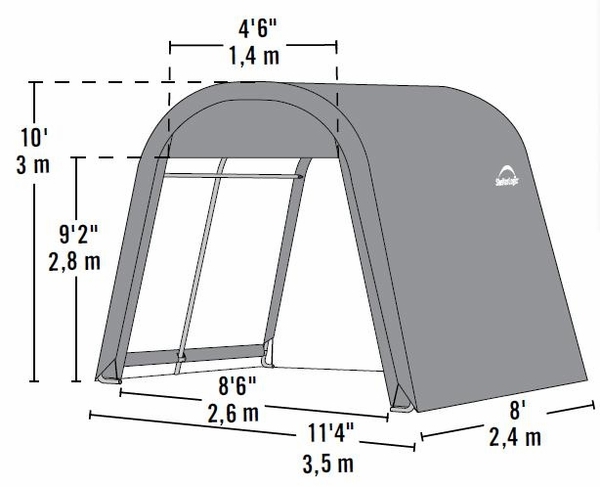 The shelter is framed with 1 5/8" inch steel for solid stability, and ShelterLock stabilizers ensure the shelter stays intact. The polyethylene cover is made of commercial grade woven material that has been UV coated for resistance to the Sun's rays.